I started working with mothers in 1975 when I was a new mother myself, first training in the role of counsellor through La Leche League International with mothers and nursing babies. This evolved naturally into midwifery training and practice between 1978-2002, attending about 1000 births. In the course of shifting focus while preserving my best use of self, experience and skills, I attended teacher training at Western University 2002-2003 in secondary school English and Music. I went straight on to be accepted to study for a Master’s degree at WLU and have worked full time in mental health with individuals, couples and families since 2005. I worked part-time on Family Health Teams (2005-2017), an interdisciplinary setting providing therapy to clients across the age spectrum, working with anxiety, depression, grief and loss, parenting issues, trauma, domestic abuse and addictions. I lead the first Hold Me Tight workshops on a Family Health Team in Ontario starting in the spring of 2017. My private practice is primarily couples and I work exclusively from an EFT (Emotionally Focused Therapy) model. I lead the first Hold Me Tight/Let Me Go workshop for parents and teens in March, 2017. I read widely in my field and attend regular professional development workshops and conferences. I began to study Somatic Experiencing® treatment methods for resolution of symptoms of trauma in 2017 and am working toward completion of the Advanced Level training. I raised five children and lost one adult child in a sudden tragic death. I have two adult step-children and three small grandchildren. I have worked in several countries abroad on medical teams (Burkina Faso and Ghana, Dominican Republic, Ecuador and Haiti) and as a teacher (Tanzania) of English and Music and providing HIV awareness workshops to secondary school students. In spring of 2015 I travelled to Hanoi, Vietnam where I introduced EFT and provided mental health trainings to professionals. I travelled to Uganda in Spring, 2018 to work with victims of war trauma and introduced basic EFT to trainees of the Centre for Victims of Torture. During my journey I studied at U of Waterloo for an Hons. B.A. in English literature (1972) and at WLU for an Hons. B. Music degree in Voice (piano second study – 1996) as well as a B. Ed. in English and Music. 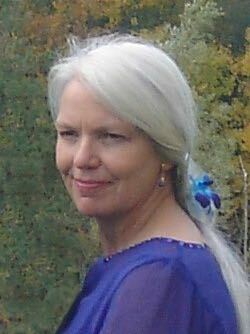 I am also an active musician (voice, piano and flute), seamstress and avid reader. Now I work almost exclusively in the area of trauma recovery and attachment relationships. Working with couples and families is of special interest to me. I learned early in my adult life the value of a solid and loving relationship as the foundation of a family and a protective feature in development of resiliency and overall well-being. Conversely, a distressed relationship contributes to poor mental, emotional and physical health. I had the privilege to watch the seeding and growth of families as a midwife. It is a joy for me to be part of restoring and enhancing healthy couple and family relationships. I have been trained in the Emotionally Focused Couple Therapy (EFT) approach based on adult love attachment theory developed and researched by Dr. Sue Johnson (www.holdmetight.com). I am Certified with the International Centre for Excellence in Emotionally Focused Therapy. I have attended a Hold Me Tight couples retreat with my husband and have lead many HMT weekends in Waterloo-Wellington since February, 2015. I have experience with and feel very comfortable working with couples from different cultures, cross-cultures, same gender couples, couples of all ages. I find meaning in fostering and restoring connection in this world, one relationship at a time. The website outlining my trauma work can be found here: www.safetywithin.com.